CES 2013 promised us of a curved Smartphone at the end of 2013 and here it is. 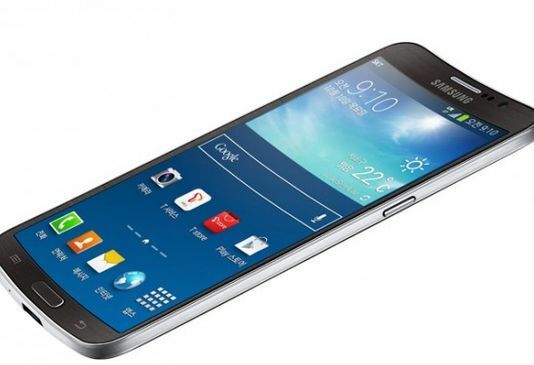 On Wednesday, Samsung unveiled world’s first ever curved display smartphone named Samsung Round. Does that mean we can roll the phone like a piece of paper and put it in our pockets? No is the answer. Such a concept is farfetched. So what is Samsung Round then? What are its specialties? Below the truth unfolds, piece by piece. Initially people thought that a curved phone means a bendable phone. It’s not your mistake. Actually the manufacturer’s thought in a ‘different’ way altogether. Rather than making the phone flexible (technology of this is still on a developing stage), it made a phone with a rigid horizontally curved display that more or less looks like a half smile on a face. No flexibility, No bending, only and only disappointment. Built for the high end crowd, it dons a 5.7 inch 1080p FullHD display and runs Android 4.3 with Samsung’s very own Touch Wiz interface. 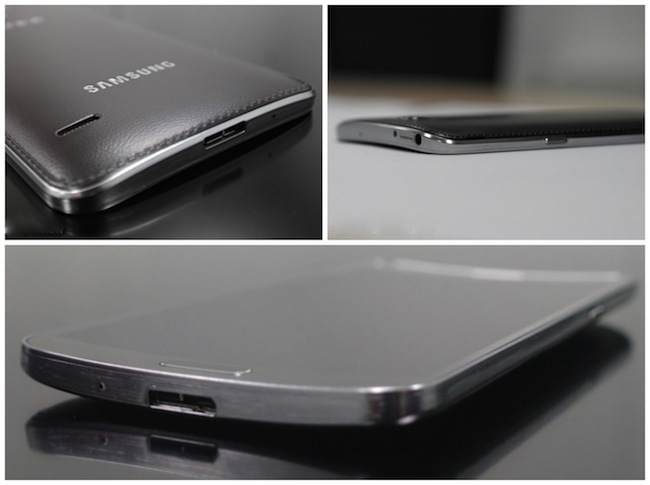 It also has Samsung’s special high-end phone features like multi-window and single handed operation modes. It is only 0.3 inches thick and weighs almost 153 grams. Its dimensions go well with its hype. The most remarkable feature that will catch your sight at a glance is that ever smiling deep horizontally curved display of the phone which complements its name. Samsung also included two arguably new features- The ‘Roll effect’ and the ‘Gravity effect’. Whenever you tilt your phone, a glance screen will be triggered which will show you all the notifications on your screen including date, time, missed call and battery information. This feature is called ‘Roll effect’. You all will seriously doubt how that feature is special in Round as it can implemented in any other normal high-end smartphone. The question remains unanswered. There is also a small gesture controlled feature, whose trailer was seen previously in Samsung Galaxy Continuum. This feature kicks the lock screen on with a gesture to read a notification or stat without unlocking the device. Impressed? Fingers crossed. The last speciality is the heavily termed ‘Gravity effect’. It will help us to change between songs and manipulate the music player with a single gesture or minute tap on the edge of the device. A small tilt can trigger video playback. It will also control the interface and match it with the tunes in your playlist. That’s really promising. But even though it is so much loaded with features, still why the initial release details of this device fails to impress us? There is a very simple answer to this. ‘Specialities’ used by the company to make this phone unique is nothing but very simple use of gyroscope and it can be easily installed in any normal smartphone which is without the overhyped curve. In short – No technology, No USP, still hyped – Good for Samsung. Samsung Round will possess a 13 Megapixel camera with autofocus and flash. A 2 Megapixel camera will act as the secondary. Primary camera can record 1080p FullHD videos, something very common in that range of Samsung. Galaxy Round will have a 2.3 GHz MSM 8974 quad-core processor, 3GB RAM, 32 GB Internal storage and a microSD card slot expandable upto 64 GB. The 2800 mAh battery is projected to give a long battery life unless the device is subjected to heavy gaming and frequent heavy uses. Samsung has announced that they will launch the device first in Korea in brown shade and then later on, it will come in different colors in all parts of the world. No particular timeline released. Looking to the overview of specs, it can be judged that the price of this curved smartphone will match to the likes of Note 3 and SIII. Can we still expect more? We are still not clear why they came up with this half horizontal curved display concept. Maybe they made this to fit the phone to our cheek or to bring the microphone closer to our lips or to protect the screen when it falls accidentally on the ground resting on its face. Whatever it may be we hope its for the sake of the benefit of the users and not a timepass foolish experiment that yields nothing but half sarcastic smiles.